Press Content – Copy and minify style element and div presscontent element. Seoul – August 5, 2015 – Samsung Electronics Co., Ltd., will implement a new Android security update process that fast tracks the security patches over the air when security vulnerabilities are uncovered. These security updates will take place regularly about once per month. Samsung has recently fast tracked security updates to its Galaxy devices with the recent Android Stagefright issues working with the carriers and partners. Acknowledging the importance of time sensitivity in addressing major vulnerabilities, the company plans to further develop this process and implement it as a timely security update practice. “With the recent security issues, we have been rethinking the approach to getting security updates to our devices in a more timely manner. Since software is constantly exploited in new ways, developing a fast response process to deliver security patches to our devices is critical to keep them protected. We believe that this new process will vastly improve the security of our devices and will aim to provide the best mobile experience possible for our users,” said Dong Jin Koh, EVP of Mobile Research and Development at Samsung Electronics. Samsung is currently in conversation with carriers around the world to implement the new approach. In collaboration with carriers and partners, more details about the specific models and timelines will be released soon. Samsung Electronics Co., Ltd. inspires the world and shapes the future with transformative ideas and technologies, redefining the worlds of TVs, smartphones, wearable devices, tablets, cameras, digital appliances, printers, medical equipment, network systems, and semiconductor and LED solutions. We are also leading in the Internet of Things space through, among others, our Smart Home and Digital Health initiatives. We employ 319,000 people across 84 countries with annual sales of US $196 billion. To discover more, please visit our official website at www.samsung.com and our official blog at www.global.samsungtomorrow.com. CHICAGO – December 1, 2014 – Samsung Electronics America Inc., a subsidiary of Samsung Electronics Co., Ltd, is reinforcing its commitment to delivering fast, easy and accurate diagnostic solutions for healthcare providers through its expanded portfolio on display at the Radiological Society of North America (RSNA) Annual Meeting at McCormick Place in Chicago. 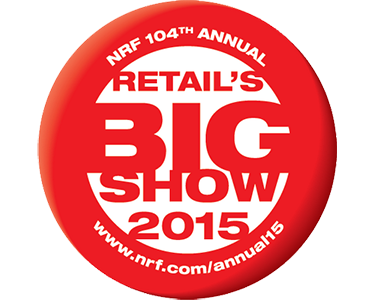 Product specialists will be on hand all week at booth #7360 (North Building) demonstrating Samsung’s full range of solutions designed to enhance the quality of care and transform the patient experience, including Digital Radiography, Ultrasound and portable Computed Tomography systems. 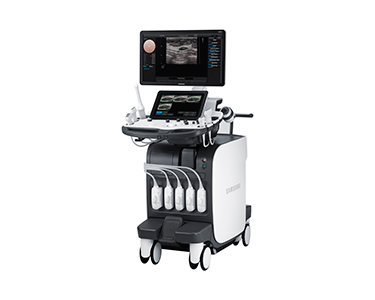 Samsung RS80A, a high-resolution, full-featured, premium ultrasound system offering an intuitive user-interface and design, and sophisticated digital image processing and superb resolution to support accurate diagnosis. Recently introduced into the U.S. market, the system is the latest addition to Samsung’s comprehensive portfolio of Ultrasound imaging solutions. Samsung GM60A, pending FDA 510(k) clearance, is a mobile DR system that delivers high-quality imaging directly to the patient’s bedside. The GM60A combines effortless workflow with advanced mobility, providing high diagnostic confidence with excellent image quality and reliable operation with enhanced usability on the go. Samsung GC85A, not currently available in the US market, is an enhanced DR system offering streamlined workflows, diagnostic confidence and improved total cost of ownership. The GC85A features the S-Vue imaging engine, ensuring consistency with high quality imaging, convenient setting of contrast and improved sharpness and clarity. A groundbreaking trial utilizing tablet-based ultrasound in emergency services vehicles in the Dallas-Fort Worth metropolitan area to help inform advance treatment decisions for critical trauma patients. Images are transmitted wirelessly from Samsung’s PT60A ultrasound to doctors at the awaiting hospital using Trice Imaging’s mobile encryption and image management system. The ability of physicians to view immediate images of what the responders are seeing in the field means they can better determine the course of treatment – for example, whether to send the patient straight to the OR, bypassing the ER. This saves time, money and, potentially, lives during what’s known as “the golden hour” following a traumatic injury or cardiac arrest. Since the trial began July 1 of this year, ultrasound has been employed in more than 100 callouts to support diagnosis in cases involving trauma, internal bleeding, acute abdominal pain and cardiac arrest. Samsung subsidiary NeuroLogica has worked with Cleveland Clinic on their Mobile Stroke Treatment Unit, an emergency response vehicle equipped with highly specialized staff, medications and equipment. This includes a portable NeuroLogica CereTom CT scanner – designed to get stroke patients potentially life-saving care faster by bringing treatment to them. The innovative unit, one of the first of its kind in the country, launches in tandem with Cleveland EMS for 911 calls for suspected strokes in the city of Cleveland and has treated over 100 patients since its launch in July of this year. Samsung’s new imaging engine, S-Vue, offers sophisticated digital image processing and superb resolution to support accurate diagnosis. Its ability to take high quality images of various anatomical structures ensures consistency, and with its advanced noise filtering and capturing of fine pulmonary vessels, S-Vue also offers improved sharpness and clarity for accurate diagnosis. Samsung’s S-Detector, which supports enhanced image quality and patient safety with greater DQE (Detective Quantum Efficiency) and lower NED (Noise Equivalent Dose), has also been updated with additional usability features. The new S3025-W, pending FDA 510(k) clearance, is lightweight and streamlined to improve usability, and offers water and dust resistance to enhance durability. 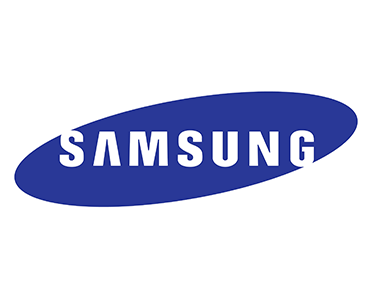 S-Share, pending FDA 510(k) clearance, is Samsung’s new platform for increasing connectivity, expected to be featured in all Samsung DR devices including the GU60A, GM60A and GC80, within a single hospital. To learn more about Samsung Electronics’ global health and medical equipment business, please visit samsung.com/global/business/healthcare. To learn about Samsung’s healthcare division in the US, please visit samsung.com/healthcare. As a global leader in Information Technology, Samsung’s Enterprise Business Division (EBD) is committed to introducing new business experiences across a diverse spectrum of industries from retail to healthcare, hospitality to sales. We believe technology brings business and customers together – to better share, collaborate and discover new opportunities. With a market-oriented approach to innovation, EBD is a division of Samsung Electronics America (SEA), Inc., a U.S. subsidiary of Samsung Electronics Company, Ltd. (SEC). For more information, please visit samsung.com/business., call 1-866-SAM-4BIZ or follow Samsung EBD via Twitter: @SamsungBizUS. Los Angeles – June 24, 2014 – Samsung Electronics America today unveiled its new 890 Series at HITEC 2014, including two new curved LED TV models and a new 75-inch model, representing one of the largest TV format in hospitality. Samsung will be showcasing this new lineup of products for the hospitality market, which features its LYNC™SINC content management system along with its next generation Smart TV platform, at the Los Angeles Convention Center, Booth #949, from June 23-26. The 890 Series combines high picture quality and enhanced energy efficiency with its edge-lit LED technology in a sleek form factor to help hoteliers deliver the ultimate in-room guest experience. Available in 46″, 55″, 65″ and a new 75″, the largest TV format in hospitality, the 890 Series meets the needs and space of virtually any hotel environment, from a standard room to a suite. In addition, each display is equipped with Smart TV 2.0 technology, giving guests a whole new level of interactivity that is exclusive to Samsung. With Smart TV 2.0, hotels can now offer guests mobile device support, with embedded features and access to a multitude of apps and widgets as part of the in-room entertainment and content experience. The HC890 Series will be available in early August. Premium Edge-Lit Ultra-thin LED Technology – edge-lit LED technology provides the brilliance and energy saving advantages of LED technology, along with the uniform brightness found in CCFL displays. This makes it possible for hoteliers to upgrade their rooms to LED technology for a cost comparable to that of CCFL technology. Samsung LYNK™SINC 3.0 – this IP-based content management solution delivers enhanced HTML and rich text with protocols that enable communication between Samsung Interactive TVs and a hotel’s property management software. Facility managers have the ability to completely customize the in-room entertainment by unlocking rich content from the Samsung Hospitality Widget Library, including Facebook, Twitter, AccuWeather, Google Maps and Netflix. Enhancements for 2014 include new UI development options and Interactive Program Guide (IPG) features, as well as an integrated flight checker and weather widgets. Samsung LYNK REACH 3.0 – the Samsung REACH 3.0 (Remote Enhanced Active Control for Hotels) content management system features a new, fully customizable user interface that provides hoteliers with a more cost-effective and efficient solution for managing, delivering and maintaining guestroom TV content from a single location. LYNK REACH 3.0 can be used to seamlessly broadcast branded content, hotel information through an IPG, while also managing a TV’s software settings, firmware and clone version from a central location. Its compatibility with existing coaxial-based infrastructure enables properties to achieve lower labor and operating costs. 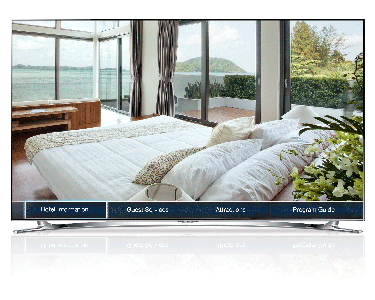 H-Browser Compatibility – the new 890 Series offers Samsung’s proprietary H-Browser platform, which is made available through partnerships with certified system integrators providing guests with a premium interactive experience. Built on the HTML5 standard with Flash® support, H-Browser is a true Smart TV solution that features both free and video on demand (VOD) content. It is able to interface directly with the head end without the use of a set top box. Mobile Device Integration via AllShare Cast – Samsung AllShare Cast makes it possible for hotel guests to seamlessly share content across DLNA connected Samsung devices, including WIDI, without the need for a network cable or a connecting device. AllShare Cast also allows screen mirroring and video streaming to enable seamless content sharing between personal mobile device, such as a smartphone or tablet, to the hotel room television. For more information about Samsung’s Hospitality TV solutions, please visit http://www.samsung.com/us/business/hospitality or call 1-866-SAM-4BIZ. As a global leader in Information Technology, Samsung’s Enterprise Business Division (EBD) is committed to introducing new business experiences across a diverse spectrum of industries from retail to healthcare, hospitality to sales. We believe technology brings business and customers together – to better share, collaborate and discover new opportunities. With a market-oriented approach to innovation, EBD is a division of Samsung Electronics America, Inc. (SEA), a U.S. subsidiary of Samsung Electronics Company, Ltd. (SEC). For more information, please visit samsung.com/business, call 1-866-SAM-4BIZ or follow Samsung EBD via Twitter: @SamsungBizUSA. InfoComm 2014, Las Vegas – June 17, 2014 – Samsung Electronics America, Inc. today unveiled the QMD Series, a new lineup of 4K UHD commercial displays that enable businesses to deliver greater visual impact, inform and inspire their audience. In addition to exhibiting its latest hardware and software solutions for a smarter digital signage experience, Samsung will also be introducing a new 32-inch UHD desktop monitor. InfoComm attendees can see the full lineup of Samsung commercial display innovations for education, retail, corporate and more at the Las Vegas Convention Center, Booth #C6319, from June 18-20. 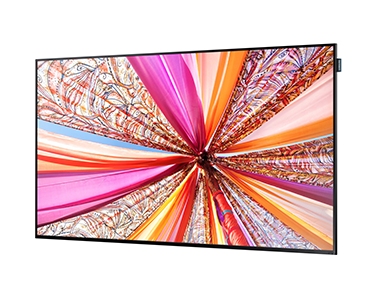 Ideal for high-end retail, hospitality or public spaces where making a visual impact is important, the Samsung QMD Series is a slim, full-featured and dependable choice for customers looking to make the step up from HD to UHD. The displays offer life-like picture quality with UHD resolution, featuring four times the number of pixels (3840 x 2160) compared to Full HD (1080p). The QMD Series is designed for use in settings where digital content plays a critical role in both capturing attention or delivering highly detailed visual information, including retail signage, conference room presentations and videoconferencing, movie production, CAD/CAM design and command/control centers. The Picture by Picture function allows users to display up to four content feeds at once, each supporting Full HD 1080 resolution. The QMD Series also supports full 60Hz content playback utilizing up to two DisplayPort 1.2 ports. Available through Samsung distribution partners starting in August, the QMD Series displays come in 55- and 85-inch models. Samsung is also bringing UHD content to the desktop with the launch of the UD970, a 32-inch UHD professional desktop monitor. With a sleek, elegant design, wide viewing angle panel, Adobe and sRGB color compliance, the UD970 is ideal for professionals that run applications requiring accurate image reproduction, such as command and control, video and photo editing, mapping and simulation, engineering, and more. The Samsung UD970 UHD monitor will be available in August. Further expanding its Smart Signage Platform display lineup, Samsung is introducing a new 21.5-inch DB Series commercial display to address demand for smaller digital signage solutions. Roughly the size of a sheet of tabloid paper, the new display offers a smart replacement for small static posters used for retail, restaurant, or corporate environments. It incorporates built-in WiFi, so power is the only cabling required for quick and easy installation. Featuring the next-generation Samsung Smart Signage Platform system-on-chip, the DB Series display eliminates the need for an external media player and comes with Samsung MagicInfo software for easy content management and scheduling. Customers can also partner with one of the more than 20 leading digital signage solution providers in the U.S. developing on the Smart Signage Platform, including Avionex (Hypersign), Capital Networks, Four Winds Interactive, Insteo, Scala, Signagelive, Wireless Ronin and X-Factor Communications. Among the other innovations on display at Samsung’s booth will be a sequence of stunning video walls presenting changing landscapes and other content across more than 50 ultra-narrow bezel displays. Throughout InfoComm, Samsung is presenting a series of in-booth seminars in addition to a spotlight session on the digital signage stage entitled Display Directions: UHD, Wireless, Smart Displays & Beyond. For more information about Samsung’s commercial display solutions and InfoComm showcase, please visit samsung.com/infocomm. As a global leader in Information Technology, Samsung’s Enterprise Business Division (EBD) is committed to introducing new business experiences across a diverse spectrum of industries from retail to healthcare, hospitality to sales. We believe technology brings business and customers together – to better share, collaborate and discover new opportunities. With a market-oriented approach to innovation, EBD is a division of Samsung Electronics America, Inc. (SEA), a U.S. subsidiary of Samsung Electronics Company, Ltd. (SEC). For more information, please visit samsung.com/business., call 1-866-SAM-4BIZ or follow Samsung EBD via Twitter: @SamsungBizUSA. Ridgefield Park, NJ – May 27, 2014 – Samsung Electronics America today announced an update to its LYNK™ REACH (Remote Enhanced Active Control for Hospitality) software and hardware solution. Featuring a new, fully customizable user interface, Samsung LYNK REACH 3.0 provides hoteliers with a more cost-effective and efficient solution for managing, delivering and maintaining guestroom TV content from a single location. Available on all Samsung Hospitality TV models, LYNK REACH 3.0 can be used to seamlessly broadcast branded content, hotel information through an Interactive Program Guide (IPG), while also managing a TV’s software settings, firmware and clone version from a central location. Its compatibility with existing coaxial-based infrastructure enables properties to achieve lower labor and operating costs. Interactive Program Guide: An easy solution that brings a residential experience into a guest room with picture in picture functionality and detailed program information. Fully Customizable User Interface: An intuitive, fully customizable user interface provides fast access to content for guests and near-real time updating for hospitality managers. Live Channel Advertising: With a variety of new templates, hoteliers can create a live channel for guests featuring information on restaurants, spas and other hotel facilities to help generate additional revenue. Service Contents Expansion: Through the REACH 3.0 server, hotels can now provide valuable service content to guests, such as weather and flight tracker widgets. For more information about Samsung’s Hospitality TV solutions, please visit http://www.samsung.com/us/business/hospitality or call 1-866-SAM-4BIZ. For a limited time customers are able to take advantage of an offer to receive a free Samsung LYNK REACH device for every 125 Samsung Hospitality TV units purchased that are 40” or larger. 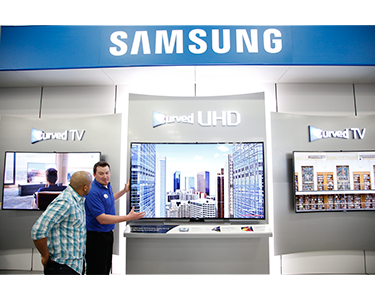 RIDGEFIELD PARK, N.J. – May 19, 2014 – Samsung Electronics America, Inc., a market leader and award-winning innovator in consumer electronics, unveiled a new marketing campaign highlighting its new Curved UHD TV. The campaign, “The Curve Changes Everything,” kicked off last night, with a televised commercial which aired during Sunday’s primetime programming including ““Mad Men” (AMC), “Women of SNL” (NBC), the season finale of “Family Guy” (FOX) and more. To communicate the immersive entertainment experience of Samsung’s Curved UHD TVs, Samsung collaged memorable moments from film, television, and the Internet to tell a visual story that depicts the emotion, wonder and excitement that viewers experience when watching their favorite content on a Samsung Curved TV. Whether watching a movie, cheering a favorite sports team, or sharing a favorite YouTube clip, a Samsung Curved UHD TV makes that experience better. Director Rian Johnson (Looper, Brick, Breaking Bad) and Oscar winning cinematographer Claudio Miranda (Life of Pi, The Curious Case of Benjamin Button) used iconic scenes from Back to the Future, Jurassic Park, Trouble with the Curve, The Wizard of Oz, Gravity and other iconic content to stitch together notable quotes showcasing the stunning effect of the curve. Following Sunday’s airing, the ads will run nationally on major networks, cable and online. In addition to the TV spots, the campaign will also include print, digital and out-of-home (OOH) components that will feature the curve in new and innovative ways. Beginning in June, Samsung will bring the curve to life on billboards with a striking version of the Samsung Curved UHD TV. These billboards, which will be displayed in New York and Los Angeles, will showcase Samsung’s Curved UHD TVs as truly the next big thing in TV entertainment. 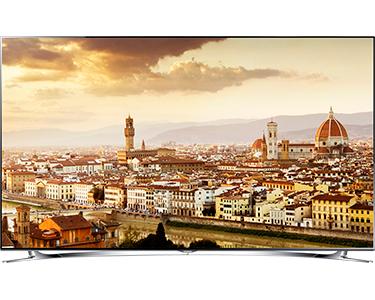 Samsung Curved UHD TVs are now available at retail, including the flagship HU9000 series. With four times the resolution of full HD, these TVs provide unsurpassed picture quality. The curved screen gives, videos a presence not felt on flat screens , and a wider field of view that draws viewers in like no TV has done before. Samsung Electronics Co., Ltd. is a global leader in technology, opening new possibilities for people everywhere. Through relentless innovation and discovery, we are transforming the worlds of TVs, smartphones, tablets, PCs, cameras, home appliances, printers, LTE systems, medical devices, semiconductors and LED solutions. We employ 286,000 people across 80 countries with annual sales of US$216.7 billion. Ridgefield Park, N.J. – May 15, 2014 – Samsung Electronics America, Inc. today announced the availability of the new Galaxy Tab® 4 Education – its first tablet specifically designed to support scalable 1:1 computing initiatives in K-12 schools. 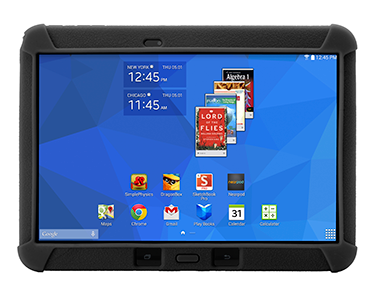 The rugged, student-friendly, 10.1-inch tablet – which integrates with Google Play for Education and can be managed easily via a web-based console – is available now for school districts planning deployments for the 2014-2015 academic year. The Galaxy Tab 4 Education was created to address the unique needs of K-12 classrooms, specifically durability, manageability and access to digital learning resources. Through integration with Google Play for Education, the new Galaxy Tab gives educators access to a wide selection of teacher-approved apps, books and videos, helping them deliver more engaging and personalized learning to each student. Acquiring content is easy too, thanks to easy-to-manage purchase orders. For districts seeking to scale up 1:1 initiatives, a web-based console – available from Google for $30 per device for school districts – enables IT administrators to easily manage and update the fleet of devices, freeing up resources for technology training and development. The Galaxy Tab 4 Education also includes Near Field Communications (NFC) technology, making it easy for IT to quickly set up a classroom of devices with just a few taps. Bundled with a protective case and featuring Corning® Gorilla® Glass, the new Galaxy Tab 4 Education is durable and ready for classroom use. With a 10.1-inch WXGA display (1280×800), it provides students an exceptional viewing experience and the 16:10 aspect ratio is ideal for viewing educational content. Students can do more at once with Samsung’s MultiWindow® feature that allows user to have two apps open side-by-side. The device features the latest version of Android (version 4.4 or Kit Kat), WiFi 802.11 a/b/g/n support for better connectivity, and rear- and front-facing cameras so students can easily capture images and collaborate with peers through video web chats. Up to 10 hours of battery life ensures students can keep learning uninterrupted throughout the school day. The Galaxy Tab 4 Education comes standard with 16GB memory, with a MicroSD Card Slot for up to 64GB of additional storage. Optional accessories include a connected USB keyboard, AllShare Cast for wireless mirroring of content to displays, and charge carts for easy classroom storage. The tablet expands Samsung’s lineup of Android-powered Galaxy devices and complements the company’s broad portfolio of technology solutions for K-12 education. The Galaxy Tab 4 Education is now available with an MSRP of $369.99 through Samsung distribution and channel partners. RIDGEFIELD PARK, NJ – April 24, 2014 – Samsung Electronics America, Inc. today announced the availability of its new D Series commercial displays, including the entry-level DB-D and mainstream DM-D slim direct-lit LED LCD displays. The D Series introduces the next-generation of Samsung’s Smart Signage Platform featuring an enhanced system-on-a-chip that supports advanced applications without the need for an external media player or PC, streamlining deployment and significantly reducing total cost of ownership. A new study commissioned by Samsung shows that the Smart Signage Platform reduces total cost of ownership by up to 30 percent when compared with traditional digital signage solutions that utilize displays with external media players or PCs to deliver content. Onboard all Samsung’s D Series displays, the next-generation Smart Signage Platform is powered by a quad core Cortex-A9 1GHz processor and features a full codec video processor, 1.5GB DDR3 and 4GB of memory. This increased performance enables the platform to support more advanced applications – including touch and video wall configurations – all without the need for an external media player or PC. Users can employ Samsung’s built-in MagicInfo content management software offering dozens of templates to create and manage their signage, or partner with one of the many leading digital signage service providers developing on the Smart Signage Platform. The D Series also features a sleek and stylish new design identity, with thin bezels and optional customizable trim kits in a range of colors that attach seamlessly onto the display. Employing a new direct-lit LED technology, the displays are slim and energy-efficient. The mainstream DM-D lineup is rated for 24/7 use, providing performance and dependability for businesses and organizations communicating around the clock. Now available in 32-, 40-, 48-, 55-inch models, Samsung will expand the lineup to include 65- and 75-inch displays in the second half. The slim-direct-lit displays in the DM-D lineup feature 1920 x 1080 Full HD resolution up to 450 nits brightness and a 5000:1 contrast ratio for sharp, detail-rich images and crisp, easily legible type. It also introduces built-in Wi-Fi, eliminating the need for Ethernet cabling and allowing easy connectivity to mobile devices such as mirroring of content from a tablet to the display. 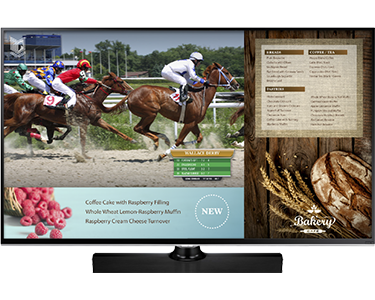 The entry-level DB-D lineup provides an affordable commercial display with exceptional picture quality and all the benefits of the Smart Signage Platform. 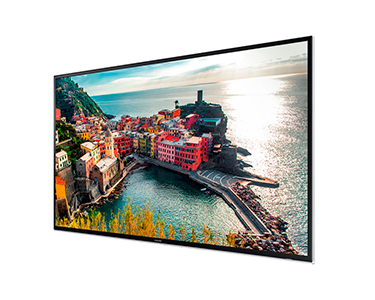 Available in 32-inch, 40-inch, 48-inch and 55-inch models, the displays are a cost-efficient solution ideal for retail environments, quick service restaurants, meeting rooms, public spaces and more. Rated for 16-hour daily operation, the DB-D lineup offers reliability that goes beyond a full business day, and flexibility thanks to a multitude of inputs. All D Series displays can be customized with the optional trim kits and are compatible with Samsung’s upcoming line of touch overlay accessories enabling up to 6 simultaneous touch points. The DB-D and DM-D models are now available through Samsung distribution and reseller partners, with the high-performance DH-D lineup to be introduced in June. Samsung is showcasing the D Series, as well as its full digital signage portfolio, at the ISA International Sign Expo 2014, April 24-26 in Orlando at the Orange County Convention Center. Part of the Dynamic Digital Pavilion, Samsung is in booth 309 and will present a session on “Simplifying Digital Signage – How Smart Displays Are Changing the Cost Containment Calculus” on April 24 at 1:00 p.m.
RIDGEFIELD PARK, N.J. –April 14, 2014 – Samsung Electronics America, Inc. has announced Rajiv Mehta as the Senior Vice President of its Customer Service Division. Since joining the company in 2011, Mehta has been responsible for all customer operations in the United States including its call center, field and depot operations, and warranty administration. Mehta also oversees the company’s Quality Assurance Lab. During his time with Samsung, Mehta has been committed to developing 21st century solutions for customer service that not only offer traditional, post-purchase support, but that also help consumers make purchasing decisions. In addition to leading a highly-trained call center operation, Mehta has played an integral role in implementing online resources and tools that offer various channels for consumers to learn about products and their features, troubleshoot issues, and receive live support. Prior to joining Samsung, Mehta led sales and business development for Sears Home Services. Before that, Mehta specialized in supply chain management, sales and service in various parts of the world including the United States, Asia, Europe, the Middle East and Africa for Motorola Mobility. RIDGEFIELD PARK, N.J., April 9, 2014 – Samsung Electronics America, Inc. today announced availability of its first standalone zero client desktop, the NX-N2-T, a compact and highly versatile VDI device that enables businesses to simplify and secure their desktop endpoints with built-in PColP® technology. Rounding out Samsung’s zero client lineup, the Samsung NX-N2-T is a VESA mountable endpoint that has the ability to support the I/O connectivity that today’s business users need, including use cases requiring up to six different USB devices. 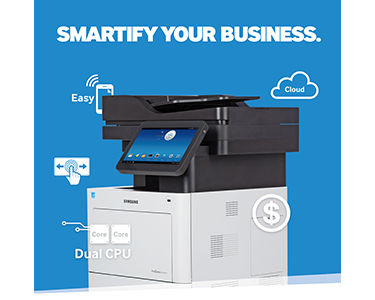 The Samsung NX-N2-T Zero Client Desktop features built-in PCoIP technology from Teradici that enables users to seamlessly connect to their organization’s VMware business cloud. This technology supports the need for businesses to simplify and secure their network endpoints with desktop intelligence baked-in to the design. The PCoIP zero client processor is used to reduce the desktop attack surface while almost eliminating the need for client-side administration. Since most software is remote and critical data is centralized, businesses are able to reduce the time and money invested in client-side administration. Equipped with the latest Teradici chipset (Tera2), the NX-N2-T Desktop delivers up to five times the VDI pixel performance over the previous generation processor. It provides stronger security with AES 256-bit encryption and requires less power consumption, increasing efficiency and reducing energy costs. Using the included lightweight detachable stand, the NX-N2-T can be VESA mounted to a wall, the back of a monitor or hidden under a desk. This eliminates unplanned costs for mounting kits, while providing more out-of-the-box installation choices. In addition to the NX-N2-T Desktop, Samsung’s Zero Client lineup features the NB-NH stand and NC Series displays. The NB-NH transforms business monitors into VDI access devices by integrating the latest VDI endpoint technology into the base of the monitor stand. Samsung’s NC Series zero client lineup is a class of professional-grade monitors specially designed to provide an all-in-one solution for desktop virtualization and cloud computing. 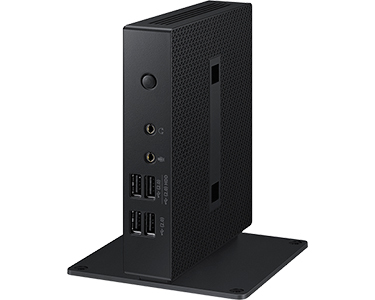 The new NX-N2-T Zero-Client Desktop is now available with MAP price of $298. All Samsung Zero Client devices can be found at select Samsung resellers and channel partners. Local availability can be determined by calling 1-866-SAM-4BIZ or by visiting samsung.com/virtualdesktop.